There’s no doubt that it is really tough to bring an addict successfully out of the program with all the symptoms and effects gone forever, but what is even tougher is to bring the addict to the program itself. The biggest problem in curing the addicts is to make them realize that they’re addicted to something and the fact that they keep denying it turns out to be the biggest hurdle for their friends and family members to bring them to such treatment programs. The main reason behind the failure of the addiction treatment programs have been the denial and eradicate this failure and bring out the light of success, the first effective step taken is an intervention program. According to the medical expert Curtis Cripe, it is essential to go to the roots of the problem where the reason behind the subjects getting into an addiction can be sorted out. Even the intervention program gives the best opportunity to provide moral support to addicts and making them believe that they can come out of it. Obviously, such intervention programs are designed by specialists and it cannot be ascertained quite easily. 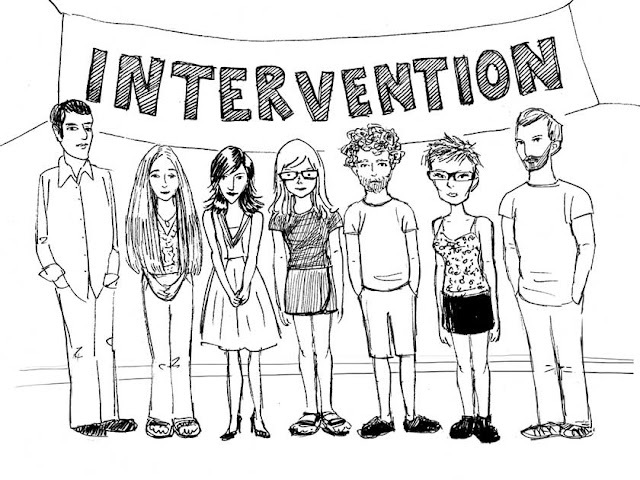 So how do these specialists frame the intervention programs? What are the tricks that they follow? Getting answers to these questions might sort out the entire mystery of the treatment. Firstly, and most importantly that all should know that getting the addicts out of their addiction is not a one way process where the experts and addicts need to perform. Rather the quickness and effective treatment completely depends upon the support that the friends and the families provide. So while these intervention programs are chalked out, a group of family members and friends are formed along with the addicts who are interested to take part in it and help their dear one get out of this curse. Often people feel it more effective to involve the employer of the addict as well, as he can note him down of the incentives that he might gain if he comes out of it. Having formed the group, the next important itinerary is to set the goal. There might be two motifs of the group, one is to motivate the addict to join the treatment program, and second is to get him out of it completely. In the latter case, the group must be assured that it is a time taking process and patience is their key to success. Each of these members will have separate roles to play in the life of the addict and these interventionists will make them understand it completely. They need to prepare their own speech which should be unique in itself and definitely motivating enough for the addict to be influenced. Rather than jargons, it should be filled up with life experiences and stories of heroes who have won this particular battle in their life. The last and the final step is perseverance. That’s the toughest test to give. Since it would be really difficult to make the addict realize of his problems, this group needs to perform on a daily basis. What Curtis Cripe believes is that, most of such battles are lost even before it starts. The more the addicts as well as all his well wishers can hold on to it, the more will the success rate be. He has dedicatedly working on it pretty long and makes sure that the world steps forward towards a better future.